Egypt's foreign ministry said on Friday that the country welcomed an offer by Portugal to host a number of refugees currently residing in the country, as part of the cooperation between the EU and Egypt on the issue. In press statements to a number of correspondents that were published on the official foreign ministry Facebook page, ministry spokesman Ahmed Abu Zeid said that Portugal has offered to host 400 refugees in the years 2018 and 2019, in cooperation and coordination with the local authorities and UNHCR. Abu Zeid added that Portugal made that offer according to the refugee resettlement programme, which is part of a larger framework and cooperation programme that was decided by Egypt and the EU at a meeting in December 2017 in Cairo. The meeting reached a recommendation that European countries should resettle a number of refugees residing in Egypt to lift some of the burdens on Cairo of hosting hundreds of thousands of refugees. 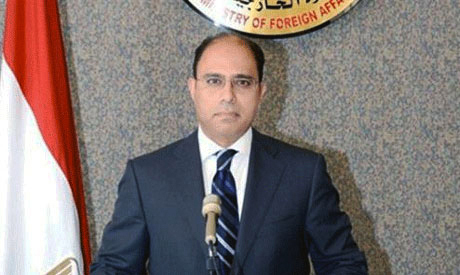 The Egyptian foreign ministry spokesperson revealed that the UK, Germany, Sweden and the Netherlands had resettled hundreds of refugees in the past few months, in acordance with the resettlement programme. "We appreciate the role some European countries including Portugal in responding to the efforts made by Egypt when it comes to refugees," he said. A total of 227,077 refugees and asylum-seekers of 58 different nationalities are currently registered with UNHCR Egypt, according to the latest numbers in May 2018. Most of the refugees registered with the UN body are Syrians.